Win 2000/NT/XP/2003/Vista/7 Printing PDF files in duplex mode allows to save paper and is widely used in printing establishment. In such a way you can print books, document packs, various booklets, etc. A lot of printers support duplex mode and if you are using software printers you can make it fully automatic. 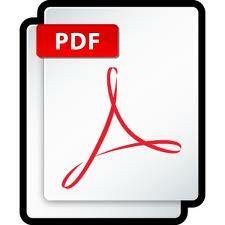 The fastest solution is print PDF duplex command line tool from CoolUtils, Total PDF Printer X. It is oriented at web-servers and web applications. So, it can be used in multi-user mode for printing batches of documents at a time. These are only a few of the features available in Total PDF Printer X. This program is handled with the help of commands, pieces of code describing all necessary parameters. It is very easy to get used to it and use in background mode with no extra windows. It has no graphic interface, as opposite to desktop version. Total PDF Printer X can be as a stand-alone tool or inbuilt in some web or server-client application for using locally or online. It just allows to use print PDF duplex command line facilities wherever you need them in your system. There are very few server-optimized printers with such a big pack of features, fully customizable for specific needs. Buy it now and get sure in this by your own!